Young protesters did successfully agitate for the ousting of Mubarak’s regime, leading the Egyptian Revolution to be described as the ‘Youth Revolution’ (Ezbawy, 2012). According to The Guardian newspaper, Google executive Wael Ghonim was one of the youth people who played an essential role in the uprising due to his popular campaign establishing on a Facebook page and called ‘We Are All Khaled Said’. Ghonim named the page ‘Martyr’ an anonymous name to protect his personal identity (8). The page has 1.8m followers and people post on the page seeking change, denouncing nepotism and helping to give birth to a better Egypt. From this basis, the call of 25 January 2011 was adapted by various local seekers of constructive revolution. It is worth referring to the story of Khaled Said, an Egyptian from the coastal city of Alexandria. Said was tortured to death at the hands of two police officers inside a residential building because of his actions seeking to eradicate violence and injustice from Egypt (4). Sadly, the Egyptian demonstration was a bloody one. As revealed inFrontline investigation (7), on 25 January 2011 Tahir Square witnessed youth protesters speaking out against the Mubarak regime. Their aim was “ḥorreyya, karāma ’insāneyya”, that is, “bread, freedom and human dignity” (Nicoarea, 2011). The police reacted by using tears gas and water cannons and numerous protesters were injured. A couple of days late, on 27 January 2011, the Egyptian authorities shut down all internet services in the country in an attempt to prevent protesters from organising additional demonstrations. However, many scholars have argued that social media was a fundamental tool in the facilitation and success of the Arab Spring owing to the high consumption of Facebook in particular as well as Twitter and YouTube. There is scholarly consensus that the widespread use of social media enabled the protesters to organise themselves to agitate for democracy and freedom of expression (Dewey et al., 2012). However, some scholars critique this view by stating that graffiti was the only real means of assisting youth demonstrators and pushing forward the entire Egyptian Revolution. So-called “political street art” was an efficient tool in the hands of Egyptian youth as it was not censored or dominated by the Egyptian government as were the internet and social media platforms.Despite the significance of social media in the Arab region, it tends to only be accessible to the elite or well-educated. In contrast, graffiti was seemingly able to notify the whole Egyptian population of the progress of demonstrators, particularly those who individuals who are not literate (Ruiter, 2015; Farrell, 2015). It is important to point out how graffiti as a culture reached Egypt. Urban (2001) indicates that a culture can move to another part of the world once it has gained a powerful feature such as highlighting the voices of marginalised communities or influencing the culture of a country with certain moralistic values. Although moved to new context, cultures can still maintain their authenticity and fundamental value. By linking this conceptual framework to the movement of graffiti to Egypt, it can be seen the introduction of hip hop culture influenced graffiti, a culture that is frequently associated with conflict and protest (Zoghbi, 2011). Taz tactics seem to have been endorsed by the Egyptian protesters as their aim was aligned with concept of Taz, which is giving birth to achievement, humanity and dignity through a peaceful “Selmya” demonstration without any vandalism or human oppression. However, there were some cases of violence as will be mentioned later (Bakr, 2011; Bey, 2003). During the Egyptian Revolution, graffiti become a communication tool used to challenge government restrictions on traditional media. This is exemplified by Yasmeen, a young Egyptian graffiti artist who wrote, “Our media is fake media. It is not saying what happened really outside, no. It is a fake. So we need… we feel that our role is to make people understand what really happened there” (Ruiter, 2015). Omar Picasso claimed that graffiti and street art are suitable media to inform the public about the political progress of protests as “street art” represents a massive community compared with the social media community. The target for graffiti artists was to transform the street into a space for dialogue and democracy. In that context, graffiti transformed Cairo Street during the protests, creating a “participatory culture”, which is defined as a culture where there are no obstacles to block artists and civilians from political engagement and rights (Ruiter, 2015). Samira Ibrahim is an Egyptian activists who was jailed and tortured by the military and was subject to an examination of her virginity. After her ordeal she used graffiti to express herself which led to her case gaining international attention (Nicoarea, 2011). “Mad Graffiti Week” saw a number of pieces created voluntarily by many artists who painted Cairo Street in the aftermath of Mubarak’s resignation celebrating the success of public protest. There are many famous graffiti works that have grabbed the public’s attention, such as the “blue bra girl”, a youth protester who was hit on her uncovered chest by police officers. The graffiti of the blue bra stencil enhances the claim that graffiti was crucial to the success of the Egyptian Revolution instead of social media as it highlighted issues around the equality of women and women’s participation in the protest and shed light on the way in which women are abused (Nicoarea, 2011). In conclusion, it seems that graffiti and social media are valuable mean of aiding youth protesters in their protests. Seemingly, graffiti could be the most accessible path to addressing the issue of literacy during demonstrations and ensuring the spread of information. This can have significant ramifications in a country such as Egypt where education is the domain of the elite and could unleash the wisdom of the illiterate. Bakr, N., 2011.The Egyptian Revolution. 1st ed. Egypt, p., 77, 88. Dewey, T., Zhu, B., Matsushima, S., Marks, M. andKaden, J., 2012. The Impact of Social Media on Social Unrest in the Arab Spring. [Online] USA: Stanford University. Available from: http://stage-ips.stanford.edu/sites/default/files/shared/2012%20Practicum%20Policy%20Brief%20SocialMedia.pdf[Accessed 25 Apr. 2016]. Elshaheeed, 2016. Background Story | we are all Khaled Said. [Online] Elshaheeed.co.uk. Available from: http://www.elshaheeed.co.uk/home-khaled-said-full-story-background-truth-what-happened-torture-in-egypt-by-egyptian-police/ [Accessed 3 May 2016]. Ezbawy, Y., 2012. 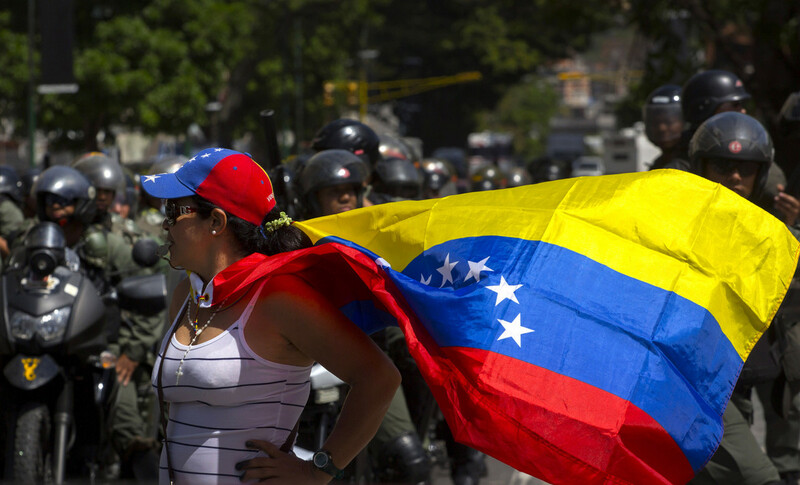 The Role of the Youth’s New Protest Movements in the January 25th Revolution. Online library Wiley, 43 (1). Farrell, D., 2015. The Role of Artistic Protest Movements in the Egyptian Revolution. Youth, Revolt, Recognition. Berlin: HU Online Publication. Frontline, 2016. Revolution in Cairo – Feb. 11. [Online] FRONTLINE. Available from: http://www.pbs.org/wgbh/pages/frontline/revolution-in-cairo/day-to-day/feb-11.html [Accessed 3 May 2016]. Hattenstone, S., 2012. 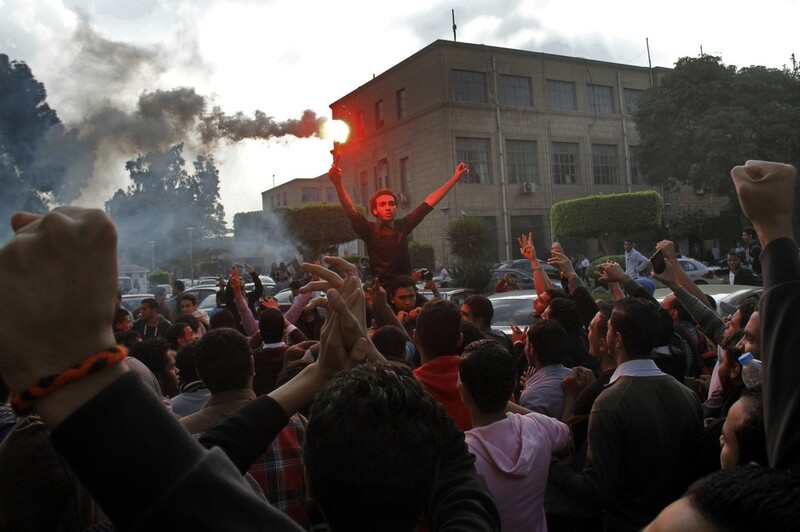 Protesters’ stories: Wael Ghonim and Egypt. [Online] the Guardian. Available from: http://www.theguardian.com/world/2012/jan/13/protesters-egypt-tahrir-wael-ghonim [Accessed 19 May 2016]. Nicoarea, G., 2011. Cairo’s new colors: Rethinking Identity in the Graffiti of the Egyptian Revolution. 1st ed. University Bucharest, pp.24, 249. Ruiter, A., 2015. Original Article Imaging Egypt’s political transition in (post-) revolutionary street art: on the interrelations between social media and graffiti as media of communication.SAGE, 37 (4), 582-595. Urban, G., 2001.Metaculture: How Culture Moves Through the World.. 1st ed. University of Minnesota Press: ProQuest library. Zoghbi, Pascal & Karl, Don. 2011. Arabic Graffiti, Berlin: From Here to Fame. Furthermore, it is difficult to find a commonly accepted definition of protest among contemporary scholars (9). Skolnick (1969, p.15) defines protest as “the political tool of only a few dissident factions such as students and Negroes”. Yet definitions by modern authors seem to be more precise in portraying the current protests (7). Jobs (2009) states that protest can include responses to undesirable situations in order to stimulate positive change in society. For example, the NCAFC, or National Camping against Fees and Cuts, in the UK has pursued its objective with four years of marches (2). In fact, this type of protest has long been popular in the UK (3). Awl (2013) states that there were a number of protests preceding NCAFC that had a comparable claim about education policy in the UK, including NOLS/SSIN in the 1980s and CFE in the 1990s and ENS. Unfortunately, most of these movements have failed to reach their objectives due to a shortage in mobilisation and opposition from other organisations. For example, the NUS is a conservative group and was opposed to the protestors’ vision. This has impeded the process of responding to protesters’ claims, which made students pessimistic about the protest. Consequently, university fees increased approximately from £1,000 to £3,000 in 2004 after obtaining approval from five of the parliament members. Then, in 2010, the government raised fees again to £9,000 (3)(Awl 2013). Increasing fees in the education system led to the establishment of the National Campaign against Fees and Cuts in 2010 by university students around the UK. They wanted to reduce university fees. However, this protest persisted for 4 years from 2010 to 2014 and failed to reach its aims in 2010 and 2011 respectively (3) (Awl 2013). The factors behind the failure where outlined by (5) Chessum (2014) who was one of the previous organisers for the NCAFC. The weak connection and poor sharing of experiences between the old and new members prevented any improvement in the protest strategy. On the other hand, (3) Awl (2013) said that the NCAFC marches witnessed great mobilisation. In November 2014, students from universities and a huge number of students from schools and colleges turned out. He said the marches in London revealed “a level of student militancy and mobilisation not seen for decades”. 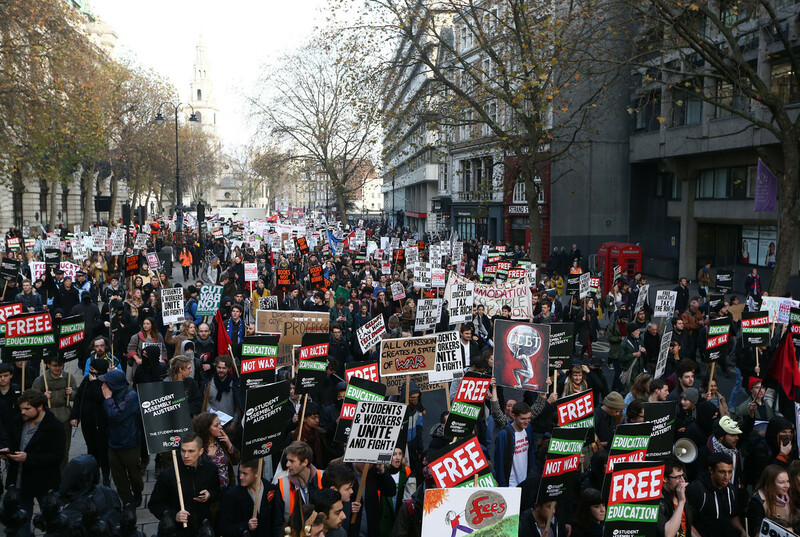 The majority of protestors carried banners with expressions such as “Free education: no fees, no cuts, no debt” (6). In terms of the protests’ tactics, the concept of TAZ seems to have been adopted in this protest (4). Bay (2003,p.3) said “the TAZ tactics can provide the quality of enhancement associated with the uprising without necessarily leading to violence and martyrdom”. The NCAFC used this strategy for two reasons. It wanted to remain peaceful and avoid any rioting (3) (Awl 2013).Moreover, they intentionality chose random days in mobilising the protesters to avoid was resistance from the police. Despite all these precautions, the sheer size of the protest, which numbered 10,000 was considered a threat to public safety. The police used “kittling” and repression to disperse the protesters (3) (Awl 2013). NCAFC was affiliated to the Green party as they have the common goal of free education in the UK. Hence, they collaborated in organising huge marches in 2014 as the Green Party has a around 17,700 members (8) (Pinkney-Baird 2015). As result, this collaboration between NCAFC and the Green Party made progress not just in reducing university fees, but also with certain political issues. It provided international students with the chance to raise their concerns about certain issues such as obtaining a visa and staying in the UK (1) (Admin 2012). To conclude, it is my point of view that the insistence in reaching the goal with repetition and taking into consideration learning from past experience will lead to improvement and goal achievement, as seen with the NCAFC. (1)Admin, 2012. NCAFC Conference Report — National Campaign Against Fees and Cuts. [online] Anticuts.com. Available from: http://anticuts.com/2012/12/11/ncafc-conference-report-3/#1.Structural Outcomes of the conference [Accessed 28 May 2016]. (2)Afifi-Sabet, K., 2015. How Students Changed The World In 2014. [online] The Huffington Post UK. Available from: http://www.huffingtonpost.co.uk/2014/12/08/how-students-changed-the-world-in-2014_n_6286614.html [Accessed 1 May 2016]. (3)AWL, 2013. A history of the National Campaign Against Fees and Cuts, 2009-2013. [online] Workers’ Liberty. Available from: http://www.workersliberty.org/story/2013/09/09/history-national-campaign-against-fees-and-cuts-2009-2013 [Accessed 3 May 2016]. (4)Bey, H., 2003. T. A. Z. The Temporary Autonomous Zone, Ontological Anarchy, Poetic Terrorism. 1st ed. (5)Chessum, M., 2014. 7 lessons from a departing student activist. [online] openDemocracy. Available from: https://www.opendemocracy.net/ourkingdom/michael-chessum/7-lessons-from-departing-student-activist [Accessed 27 Apr. 2016]. (6)Green Party, 2015. Young Greens become largest youth party in the UK. [online] Green party. Available from: http://Young Greens become largest youth party in the UK [Accessed 4 May 2016]. (7)JOBS, R., 2009. Youth movements. Youth Movements: Travel, Protest, and Europe in 1968.., [online] 114 (2, p376-404, 29p.). Available from: http://sj9sr8sb5k.search.serialssolutions.com/?ctx_ver=Z39.88-2004&ctx_enc=info%3Aofi%2Fenc%3AUTF-8&rfr_id=info:sid/summon.serialssolutions.com&rft_val_fmt=info:ofi/fmt:kev:mtx:journal&rft.genre=article&rft.atitle=Youth+Movements%3A+Travel%2C+Protest%2C+and+Europe+in+1968&rft.jtitle=The+American+Historical+Review&rft.au=Richard+Ivan+Jobs&rft.date=2009-04-01&rft.pub=Oxford+University+Press%2C+UK&rft.issn=0002-8762&rft.eissn=1937-5239&rft.volume=114&rft.issue=2&rft.spage=376&rft.externalDocID=1699050651&paramdict=en-US [Accessed 1 May 2016]. (8)Pinkney-Baird, W., 2015. National free education demo called for 4th November. [online] Bright Green. Available from: http://bright-green.org/2015/06/15/national-free-education-demo-called-for-4th-november/ [Accessed 1 May 2016]. (9)Skolnick, J., 1969. The politics of protest. New York: Simon and Schuster. Anime conventions are when people celebrate their fandom for Japanese animation, comic books and other related media (1). Though starting in Japan, the practices were originally influenced from the West, namely American sci-fi conventions in the 1960s and 70s (2). That cycle has come full circle: anime conventions have become phenomenal in the US, and began sprouting in Europe since the first Japan Expo in 2000. There are more than 200 of such events per year in the US, drawing masses of people, as many as 192,000 in 2011 (3). At the conventions, attendees would expect comic vendors, news panels, various contests and even celebrity guests (1). However, it is cosplay that draws the most attention at those anime parties. Many scholars have pointed out the transcultural differences of this practice between different countries. Originally in Japan, the biggest anime events, usually attracting 600,000 visitors, do not focus on cosplay but rather on selling self-published magazines (3). An organizer of Japan Expo stated its emphasis on spreading Japanese culture, which includes various other aspects outside of anime. Nevertheless, cosplay abroad is much more popular at anime conventions, when 75% visitors spend at least a day in costumes (3). “Cosplay [is now] a more accepted hobby in North America than in Japan,” cited by Kelts – author of JapanAmerica: How Japanese Pop Culture Has Invaded the US. The presentation of cosplay at conventions also differs between countries. In Japan, it is often the case that cosplayers team up to take group photographs, or pose professionally as an individual for an official or unofficial photo shoot (4). The photographic practice at events is deemed serious, well-rehearsed with utmost dedication and professionalism from the cosplayers. This strictly organized affair is much different from that in the US – which is called a “chaotic affair” (5). Cosplayers would roam the conventions in costumes and go about their normal activities. Photographs are taken by other party-goers and there is no photo shoot or posing. An American cosplayer made his remarks, having attended conventions in both the US and Japan, that while cosplaying at American conventions is much more casual and relaxed, at Japan conventions “there is a particular etiquette that cosplayers have to follow” (5). In a similar aspect, Wang (2010) (6) stressed the difference between cosplaying at Japanese and Chinese conventions: cosplayers in China add their own interpretation to original pieces and often perform in groups, while Japanese cosplayers stay loyal to the characters and prefer single activity. This is due to the fact that original works from Japanese authors are difficult to find in China, and also the collectivism culture in China poses heavy influence on how cosplay is practiced. He concluded that local elements have given new significance to an original culture. The reason for this cultural acceleration, or better yet, cultural boomerang, is the interest it generates (7). Anime conventions and cosplay catch worldwide attention since they resemble something from the past (American sci-fi conventions) and as this practice moves, it changes while remaining recognizable to the original models. As put by Kelts and his partners (3), Japanese anime is vigorously accepted overseas because they appeal to both adults and children, and feed on the lack of entertainment for women in the US. As can be seen, this cultural movement is characterized by newness and novelty, when each country and region adds its own spin to the approach. Consequently, cultural hybridity is apparent in the adoption of anime conventions across the globe. Cultural hybridity includes diverse intercultural mixtures (8) and requires a cross-cultural contact to happen. When anime conventions take place in China, cosplayers add their own cultural values, taking objective factors into consideration, to the practice and make it different from the original. Likewise, American con-goers are more interested in adding their creativity to the pieces while Paris fans respect the original work and emphasize on replicating the characters (3). In addition, it is asserted by Kraidy (8) that through the help of the mass media and exchanges of people, ideas and practices, cultural commodities move thus enabling a hybridization. In France, it is necessary for a manga/anime to be published in French before gaining popularity. However, the Internet is now playing a major role, with illegal channels for exchanging the work, and the rise of online community for people to share the same interest. This has explained the phenomenal movement and hybridization of anime conventions and the act of cosplay. In conclusion, anime conventions have generated worldwide popularity and are now a common practice in numerous countries. The fact that the practice varies in each country and region with a local twist only adds to its longevity and influence. (1) Ellis, G., n.d. A Parent’s Guide to Anime Conventions. AnimeCons [online], n.d. Available at: http://animecons.com/articles/article.shtml/1074/A_Parents_Guide_to_Anime_Conventions [Accessed 20 April 2016]. (2) Kelts, R., 2011. JapanAmerica: Cosplay in the USA. 3am Magazine [online], 16 December 2011. Available at: http://www.3ammagazine.com/3am/japanamerica-cosplay-in-the-usa/ [Accessed 20 April 2016]. (3) Kelts, R., Sirdey, T., Perez, M. and Fukuoka, T., 2011. Evolving Cosplay, Manga, and Anime Sweeping the World. Wochi Kochi Magazine [online], 2011. Available at: http://www.wochikochi.jp/english/topstory/2011/12/cosplay-manga-anime.php [Accessed 20 April 2016]. (4) Peirson-Smith, A., 2013. Fashioning the Fantastical Self: An examination of the Cosplay Dress-up Phenomenon in Southeast Asia. Fashion Theory [online], 17 (1), 77-111. (5) Benesh-Liu, P., 2007. Anime Cosplay in America. Ornament [online], 31 (1), 44-49. (6) Wang, K., 2010. Cosplay in China: Popular Culture and Youth Community. Thesis (MA). Lund University. (7) Urban, G., 2001. Metaculture: How culture moves through the world [online]. University of Minnesota Press. (8) Kraidy, M., 2005. Hybridity, or the cultural logic of globalization [online]. Temple University Press. In 2013 there was a remarkable acting regarding the most important character in Islam after Prophet Muhammad and Abu Bakr Al Siddig .This series has brought the biography of great character for the mind of large number of Muslims people. hence ,this character is Omar Bin Alkhatab.the purpose of choosing this series is to represent the considerable influence of this great character from earliest time until 21 century. First of all, this essay is going to provide the reader by over view of his life and his personality as it has shown in the series . Therefore, his full name is Omar ibn Al-Khatab ibn Nufayl ibn AbdulUzza he was Born in 583 AC thirteen years after the year of the Elephant. Interestingly he was considered among his tribe as the most person who has a high level of rhetoric and eloquence in Arabic language, as its known Arabic language is distinguished by these two characteristic. beside that Omar Bin Alkhatab was educated at that time he was Able to write and read although his job was a tending sheep in his village. Moreover he was good at many sports such as wrestling, riding and horsemanship. In fact, he spent haft of his life in (aljahlyliah). even after Islam is emerged due to he had a loyalty to his first faith and as not to being different from his tribe .however Omar went from being one of the strongest opponents of Islam to one of its staunchest belie. All in all, nevertheless the character is from early age, the influence of him is reminded same among Muslim people which could be clear from the large number of book published whether by Arabic or other languages which tend to consider his as an inspiration person to many Muslim people due to his great characteristic. Azimi, A., 2016. https://islampeace1.wordpress.com/2013/05/15/jerusalem-and-umar-ibn-al-khattab/. [online] islam the religion of pease. Available from: https://islampeace1.wordpress.com/2013/05/15/jerusalem-and-umar-ibn-al-khattab/ [Accessed 19 Apr. 2016]. Anon, 2012. [online] Available from: http://insideislam.wisc.edu/2012/01/important-figures-umar-ibn-al-khattab/ [Accessed 19 Apr. 2016]. Anon, 2016. [online] Available from: http://www.al-islam.org/restatement-history-islam-and-muslims-sayyid-ali-ashgar-razwy/umar-bin-al-khattab-second-khalifa [Accessed 19 Apr. 2016]. Ahmad, K., 2011. The Series of: Men and Women Around Muhammad. Jensen (2002) affirmed that “Dhakirat Al Jasad” or ‘’Memory in the flesh’’ is an Arabic novel, which written by the Algerian author ‘’Ahlam Mustaganmi’’ in 1993. Simultaneously, the story published in Algeria and Lebanon. Additionally, the novel won Naguib Mahfouz Prize for literature in 1998. The novel has reached a high level of popularity in the Arab world, Selling an unprecedented 50,000 copies. It is worth mentioning that ‘Mustaganmi’’ so called ‘’ the sun of Arabic literature’’ (ADAB 2005). As an Arabic appreciation because of her unique, distinguish novels. Such as Fawda el Hawas (Chaos of the Senses), El Aswad Yalikou Biki (Black Suits You so Well), Aber Sareer (Bed Hopper) and Nessyane.com (The Art of Forgetting) (Mustaganmi n.d.). Markedly, “Dhakirat Al Jasad” has being taught in many universities in the Middle East as an obligatory curriculum in literature field. Particularly, Syria, Morocco, Tunisia and Bahrain. Additionally, to some European univariates. Case in point, Sorbonne University (Ibtesamh Magazine 2016). Generally speaking, the novel ‘’ Memory in the Flesh’’ telling a love story between an Algerian girl named ‘’Hayat’’ and an Algerian soldier called ‘’Khaled’’ who experienced several issues in a political, economic and social level during the French colonization. Losing Khaled’s arm during the Algerian revolution is another area of consideration. The Champions of the story have met each other within old age almost fifties which add a distinctive flavor to the story as the author mentioned. She described that writing love stories in your fifties seemed to be like a delicious craziness moments similar to your teenage ages. If we were questing the circumstances for meeting the champions each other, it could be stated that the lovers have met each other in an undeniable moment in an exhibition of art in Paris, at the time ‘’Hayat” was in her forties and ‘’Khaled’’ aged in his fifties. Henceforth, ‘’Khaled’’ fall in love unintentionally. Above all, ‘’Khaled’’ left his country aftermath his shocking from the ethical aspects of the Algerian nations. Meanwhile, ‘’Khaled’’ considered his love to ‘’Hayat’’ as irresistible, precious love as it thrives/compensate his life with the entire elements that he lacked it’s from his country. Resulted, in seeing her as an ideal Algerian girl with virtual ethics. There is a clear sense of togetherness and solidarity among the lovers due to their sharing of all suffering, wounding during their country colony. Importantly, the novel is mixed between a love story and historical overview which emphasized that the definite possibility to emerge love in human’s heart with the eruption of war. Undoubtedly, the novel involved rehabilitation dimensioned which resulted in providing a numerous number of critique to some of the social aspects in the Arab region and Algeria mainly. It can be acknowledged that, the novel named by ‘’Memory in the Flesh’’ due to the losing of ‘’Khaled’s’’ hand during the Algerian revolution (Alenizi 2016). Building in what mentioned above ‘’Memory in the Flesh’’ novel has witnessed the transformation from being merely famous, the successful story in the mood of reading to TV series by customizing real scenario written by the Syrian author ‘’Reem Hanna’’. The is a clear indication that the TV show has scrutinized beyond the profound details and ritual of the Algerian customs and traditions to imitate it due to the high sense of being the boast of the Arabic culture and Arabic language as it exemplified by Mustaganmi writing style (Alghad Newspaper 2016). Interestingly and from a personal analysis, Mustaganmi has proved her sense of proudness by selecting the ‘’Arabic language’’ to release her novels. By applying this concept to the content of the story, it’s clearly that the novel involved an apparent influence of the Algerian culture regardless the hegemony of French colonization during that time. Furthermore, Mustaganmi writing style always tends to be fully of emotions and affections with the aim of attracting, influencing the readers, and that’s considered crucially successful from a personal perspective. Moreover, the style of the outfits of the actors and actress are more likely to be in Arabic Algerian style, the truthfulness and pureness of respecting your partner in love correlation or whatever it was are part of the crucial characteristics of the Algerian society in that time. One of the notable paradox and conflicts in the novel is that depicting the Arabic man through ‘’Khaled’’ as the dominant, authorized, trustable from the Arabic community. Whereas, the woman always weak, suffering from love invading due to following her affections. Suddenly, the table moved to be upside down by changing ‘’Hayat’’ personality from being vulnerable women to intelligent, manipulative women who can fight for being independent of love torture her. She was ending up by marrying another man, after socking him for being in correlation with his close friend before his death. Ultimately, Khaled forced himself to forget her and having other relationship with a French girl. But the same consequences won’t enable him to enjoy his love. Mustaganmi, A., n.d. Original Work. [Online] Ahlam Mustaganmi. Available from: http://www.ahlammosteghanemi.com/#!about-english/c1pfk [Accessed 14 Apr. 2016]. ADAB, 2005. A brief of Ahlam Mustaganmi novels. [Online] ADAB. Available from: http://www.adab.com/literature/modules.php?name=Sh3er&doWhat=ssd&shid=1168 [Accessed 14 Apr. 2016]. Alenizi, F., 2016. Summary of ”Memory in the Flesh” novel. [Online] Azpot.blogspot.co.uk. Available from: http://azpot.blogspot.co.uk/2009/03/blog-post_05.html [Accessed 14 Apr. 2016]. Alghad Newspaper, 2016. Converting ”Memory in the Flesh” from written novel to TV series. [Online] Alghad Newspaper. Available from: http://www.alghad.com/articles/773847-%25 [Accessed 14 Apr. 2016]. Ibtesamh Magazine, 2016. Ahlam Mustaganmi and Memory in the Flesh! [Online] Ibtesamh.com. Available from: http://www.ibtesamh.com/showthread-t_83816.html [Accessed 14 Apr. 2016]. Jensen, K., 2002. Ahlam Mostaghanemi’s Memory in the Flesh | Al Jadid Magazine. [Online] Aljadid.com. Available from: http://www.aljadid.com/content/ahlam-mostaghanemis-memory-flesh [Accessed 14 Apr. 2016]. The Maze Runner is a series of young adult science fiction adventure novels by James Dashner. This pentalogy consists of five different versions which include The Maze Runner (2009), The Scorch Trial (2010), and The Death Cure (2011), as well as two prequel novel The Kill Order (2012) and The Fever Code (2016). The Maze Runner (TMR) was published on October 7, 2009. In this article, we will dig into the impact of TMR which is the first release that we have identified across the entertainment industry as well as Internet. The novel started with a boy wakes up in a metal box with no memory of who he is. The only thing he remembers is his name, Thomas. Doors open overhead revealing a community of young boys all living on a type of farm surrounded by very high walls. The place is called the Glade. Outside the Glade, beyond the walls is a massive Maze populated with monsters, known as Grievers. Every month a new boy is sent to the Glade. Each week supplies come up through the elevator that Thomas rides. Eventually, Thomas meets the leader of the Glade, Alby, and his second in command, Newt. There is also Chuck who becomes his friend. Gally emerges as a rival who is suspicious of Thomas. Minho is the leader of the Runners, the Gladers who go out into the Maze in an attempt to map it and find a way out. Then, the story continues as they fight against Grievers and find a way out. After they have escaped from the maze successfully, then they realized everything that they went through was an experiment. The goal of the experiment is to find those children intelligent and resourceful enough to find a way to defeat the Flare and save humanity. An adaptation is seen as interpretation, as a specific and original vision of a literary text, and even if it remains fragmentary, it is worthwhile because it embeds the book in a network of creative activities and interpersonal communication (1). TMR was also made into a film in the year of 2014 by 20th Century Fox. The film was also a commercial success, as it topped the box-office during its opening weekend with a $32.5 million debut, making it the seventh-highest grossing debut in September (2). Let’s take a look at the trailer below. Other than Harry Potter and Hunger Games, TMR has its own dedicated fan base too. Large number of people is obsessed with James Dashner’s post-apocalyptic dystopian trilogy. Apparently, the Internet is filled with with insanely brilliant and occasionally disturbing fanfic, fan art and even videos paying tribute to Thomas, Teresa, Newt, Minho and the rest of those crazy klunks. Let’s start with the Newt Day. It is the day that fans celebrate his life as Newt died on the 250th page of The Death Cure. Therefore, the 250th day of every year would be the Newt Day. Sometimes, fans with great creativity can create something amazing, such as the Minecraft Maze Runner. Millions of children across the world spend their days digging holes in a virtual landscape called Minecraft (3). It is an independent computer game designed in 2009 by self-taught Swedish programmer Markus Persson, who claims it now has over 100 million registered users. Perhaps one of TMR fans is a Minecraft addict. Apart from the fans, MTV has also joined the bandwagon by making a reality show out of TMR. It is known as The Million Dollar Maze Runner. Based on the number of criticism that the show has received, we can tell that it was not a success. However, through this we can see the hype that TMR has brought to the entertainment industry. Lastly, even in Korea a parody of Maze Runner is made featuring K-Pop idols 2PM’s Ok Taecyeon & Nichkhun, M.I.B’s Kangnam, and NS Yoon-G. The lead role is played by the Korean-American star of the original “Maze Runner” movies, Lee Ki Hong aka Minho. From film adaptation to Internet and entertainment industry, the influence of TMR is inevitable. It used to be a young adult fiction novel but now it is no longer just a novel because the Maze lover will continue to celebrate the Newt day and also creating fanfic as well as art piece. Published in 1954, William Golding’s Lord of the Flies (LOTF) is a literary phenomenon and a major contribution to the author’s legacy, which won him a Nobel Prize in 1983 (1). Regarded as “chillingly realistic” (1) (p. 1), “fusing rage and grief”, LOTF presents a view of mankind in its truest nature – evil and cruel when left to their own devices, and that morality is forced upon oneself by civilization rather than an innate goodness. Unlike a typical young adult novel, LOTF is straightforward and without a poetic attempt. The lives of adolescent boys are not portrayed sentimentally (1), but the employment of allegory, symbolism and plot techniques is what made it unique. It has been noted by critics that LOTF share several similarities with the Bible (2). For example, the island resembles Garden of Eden in being originally pristine but then corrupted by evil. The title itself literally means Beelzebub – a powerful demon in hell, a Satanic figure that evokes the evil within each human being. A noteworthy quote from the ending, when a naval officer came to the rescue, sums it up: “Ralph wept for the end of innocence, the darkness of man’s heart, and the fall through the air of the true, wise friend called Piggy” (3) (p.209). Another parallel can be drawn between the boys’ society and a political state, where the older boys are the ruling leaders and the younger are common people – having little say. While Ralph and Piggy develop relationships with the young boys as in protecting them, Jack and his tribe bully the little, ruling with fear and terror: “Roger advanced upon them as one wielding a nameless authority” (3) (p.182). Due to its humanistic values, the novel is required reading in schools and colleges. It constantly makes the lists of best novels and recently landed at 74th position in 100 best English novels in the Guardian’s list. In addition to worldwide acclaim, the novel exerts numerous cultural influences. There have been two film adaptations in English, one in 1963 and one 1990. The first one was a critical success, earning the director a nomination for the Golden Palm at the 1963 Cannes Film Festival (4) while the second one, though filmed in colour, was a modest success. A play was adapted by Nigel Williams, debuted in 1996, which was regarded as a “strikingly powerful version” (5). Several reality shows borrow the idea from LOTF. To name a few, Survivor, first aired in America in 2000, is one of those which set the objective for participants to survive in remote areas. The key resemblance is the division into a minimum of two tribes that competed against each other. Additionally, an episode of The Simpsons titled “Das Bus” mirrored LOTF in every way, when the Simpson children’s bus crashed and they landed on a deserted island. In other fields, LOTF was also a significant inspiration. In 1996, Iron Maiden released a song named “Lord of the Flies” with recognizable lyrics like “Saints and sinners/ Something within us/ To be lord of the flies.” U2 released a track in 1980, with its name borrowed from Chapter 7 in LOTF “Shadows and Tall Trees,” bearing a strong parallel to the corresponding chapter. More recently, in the movie “Silver Linings Playbook”, the female character played by Jennifer Lawrence refused to let the male counterpart read LOTF in their studio, while saying: “I can tell you all about Lord of the Flies […] Humanity is just nasty and there’s no silver lining” (6). All things considered, in this increasingly unstable world, where “events take place every day on our mean streets are more horrifying than anything the little monsters do to one another on Golding’s island” (7), it might be hard for the novel to strike that disturbing and shocking impression on the youths. However, its humanistic and literary values stand strong and remain a lesson for us all in reflecting on our truest human nature. (1) Frank, E., 2010. “Lord of the Flies”: The Educational Values of Golding’s Text [online]. Pell Scholar and Senior Theses. Paper 58. Salve Regina University. (2) SparkNotes Editors, 2007. SparkNote on Lord of the Flies. SparkNotes [online]. Available from: http://www.sparknotes.com/lit/flies/ [Accessed 24 March 2016]. (3) Golding, W., 1954. Lord of the Flies [online]. Global Village Contemporary Classics. (4) Festival de Cannes, 2016. The official selection 1963. Festival de Cannes [online]. Available from: http://www.festival-cannes.com/en/archives/ficheFilm/id/C5681AD0-D07A-457E-9797-3DF69DD03FBA/year/1963.html# [Accessed 25 March 2016]. (5) McCrum, R., 2015. The 100 best novels: No 74 – Lord of the Flies by William Golding (1954). The Guardian [online], 16 February 2015. Available from: http://www.theguardian.com/books/2015/feb/16/lord-of-the-flies-100-greatest-novels-william-golding-mccrum [Accessed 25 March 2016]. (6) Explore William Golding, 2012. William Golding’s legacy: His enduring influence on popular culture. Explore William Golding [online]. Available from: http://explorewilliamgolding.com/william-goldings-legacy-enduring-influence-on-popular-culture/ [Accessed 25 March 2016]. (7) Ebert, R., 1990. Lord of the Flies. Roger Ebert [online]. 16 March 1990. Available from: http://www.rogerebert.com/reviews/lord-of-the-flies-1990 [Accessed 25 March 2016].